There’s no shortage of galleries and art fairs both in Singapore and worldwide – but while not all of them are impenetrable fortresses of artspeak and designer outfits, it’s not surprising that some find the idea of injecting themselves into the scene intimidating. And that’s where the internet comes in. The past few years have seen a rise in e-galleries, from both individual spaces and initiatives such as the Google Art Project. To date, the latter has over 40,000 high-res artworks from top galleries such as London’s Tate and New York’s Museum of Modern Art, which can be viewed and used by the public for non-commercial purposes for free; over 5,000 images of iconic street art around the world were also added in June. Not one to be left out, Singapore has also jumped onto the e-wagon. Founded in June last year by local lady Talenia Phua Gajardo, The Artling is an online platform of curated contemporary works from local and international artists, enabling customers to shop for art with just a click. Gajardo first started sourcing for art pieces when she worked in renowned architecture and interior design firm Zaha Hadid in London and, as she tells us, ‘discovered that there was a gap in the online space focussing on quality art from the [South-East Asia] region; I wanted to make it accessible to an international market.’ To date, they represent 35 galleries and almost 100 artists from the region, with the latest additions being Singapore-based FOST Gallery and Richard Koh Fine Art. All works are priced below $12,500. Taking on a slightly different concept, artist Eugene Soh (aka Dude.sg) has been inviting people from all over the world to enter a virtual world since April with his pet project, Gallery.sg. His first exhibition featuring a selection of artists who adopted domain names is on until 19 July, 2014, and visitors can use the keyboard to control their movements and wander around the gallery – with a glass of virtual wine in their avatar’s hand – as though they’re in a video game. While the first edition also has a weird and whimsical world outside with oversized golden skulls and a massive whale chilling out in the ocean at dusk, the second show will be cut down ‘to reduce file size and streamline the whole process,’ Soh says. The e-exhibition is modelled after New York’s Hawkeye Crates gallery, who will be holding the same show offline simultaneously, titled Spoken – A Virtual Art Show, from Brooklyn to the World, co-curated by Soh and local artist Stephen Black. There will also be an option for digital visitors to directly purchase the works at the show, which are priced between three to five digits. 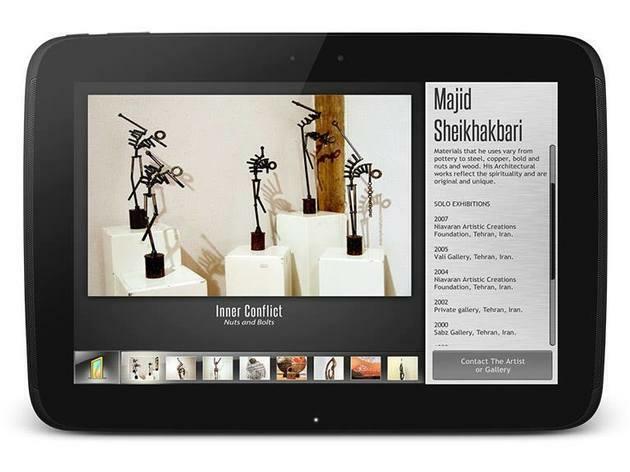 Also launching in July 2014 is the new version of local gallerist Benedict Tan’s Arts Portal app. Developed and released last March, it will be adding two sections – one for International Events and the other being a search function – to its existing ones, Artist Portfolios and Art Spaces. It will also be turned into a cloud-based app to make the downloading process faster. The initial idea was conceived after Tan collaborated with another studio to create two art-gaming apps called Photo Findings and Painting Findings. 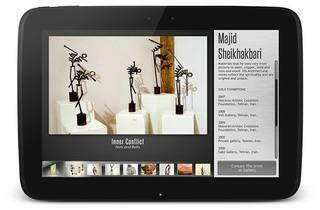 ‘I’ve always had a strong belief to use mobile apps to promote art,’ he says. ‘As far as I could remember now, it’s more a strategic idea to tab publicising art to the tremendous growth in mobile app usage than an inspired idea.’ If you see a piece of art you’d like to purchase, there’s a section for you to contact the artist or gallery directly. With more options to appreciate and purchase art than ever, there’s no excuse for anyone not to check out the latest works by talented artists hailing from our own shores or further afield – you can even stay in your pyjamas if you want.